There are many reasons why our clients may require commercial capital. It is often very difficult to find commercial investors to provide the necessary capital needed. With their background in the commercial real estate market, the Equitable Capital and Consulting, LLC team has the resources and know-how to structure and create terms that both the sponsorship and the Investor parties find agreeable. First, we conduct an initial introduction with potential clients over the phone to discuss the transaction summary. Assuming the transaction is a mutual fit for both parties, Equitable Capital and Consulting, LLC will request an executive summary, which is a table of contents regarding the transaction that includes, but isn't limited to, client information and specific transaction information. If a loan request book has already been put together, then Equitable Capital and Consulting would request this information. Then, our consultants review the deal transaction. If the loan request book appears to be attractive, then Equitable Capital and Consulting, LLC will contact qualified investors to determine if a mutual business relationship can be established between the potential client and the investor. Assuming that the potential client agrees, we will issue them our standard consulting and advisory engagement agreement. The potential client then reviews agreement and, if acceptable, signs it and sends it back along with the required engagement retainer. Please refer to "Scope of Services" for an example. Once you are a new client of Equitable Capital and Consulting, LLC we will conduct a conference call for strategical purposes in order to make the transaction advantageous for all parties involved. We then handle most of the relationship process and coordination process with respect to most third parties, including, but not limited to, the investor and legal entities. The client is informed every step of the way as to the status, including being involved in most of the conference calls, if necessary (please refer to our "Scope of Services" as an example). We proceed to obtain a formal application for commitment and/or letter of intent spelling out the basic terms and conditions of the client. Assuming that the client agrees with the terms, Equitable Capital and Consulting, LLC proceeds to the next step of obtaining the commitment to fund the transaction. 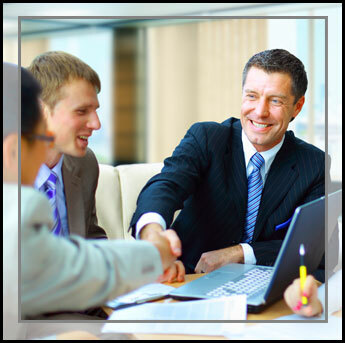 All parties involved are kept in the loop in order to ensure a smooth process. Assuming that we can deliver a commitment to the client, we work with the investor, its legal representatives, and the client to negotiate any issues in the commitment. When the client accepts and signs the commitment, we send it back to the investor and closing procedures commence. Equitable Capital and Consulting, LLC walks the client through the final closing process and closes on the transaction.